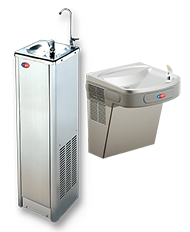 Our stylish drinking water fountains make a great addition to any school, gym or area where a high volume of water is required. Research has shown that children do not drink enough water during the school day which is why we are one of the UK’s leading providers of water coolers and drinking fountains to schools. These machines offer you the added benefit of being durable as well as only using a small footprint.